The word “bard” ordinarily puts folk in mind of those itinerant minstrels, fair of voice and nimble of finger, who earn their coin performing in taverns and the halls of great lords. Few know, however, that bards in fact trace their origins back to the bowmen of eld, who sang in the heat of battle to fortify the spirits of their companions. In time, their impassioned songs came to hold sway over the hearts of men, inspiring their comrades to great feats and granting peace unto those who lay upon the precipice of death. 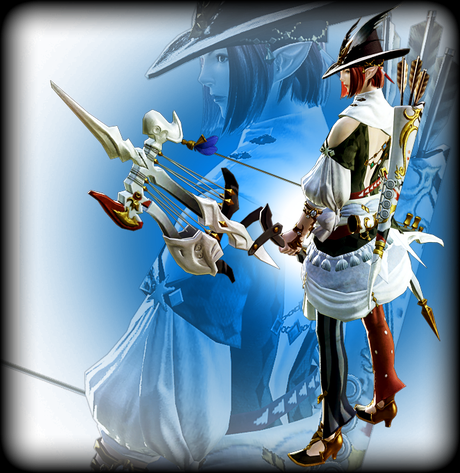 A bard is an evolved Archer. They can sling arrows from the back lines while singing various tunes that can benefit the party in many useful ways. They are also potent damage dealers, able to fire arrows in large volleys and inflict large amounts of AoE damage.